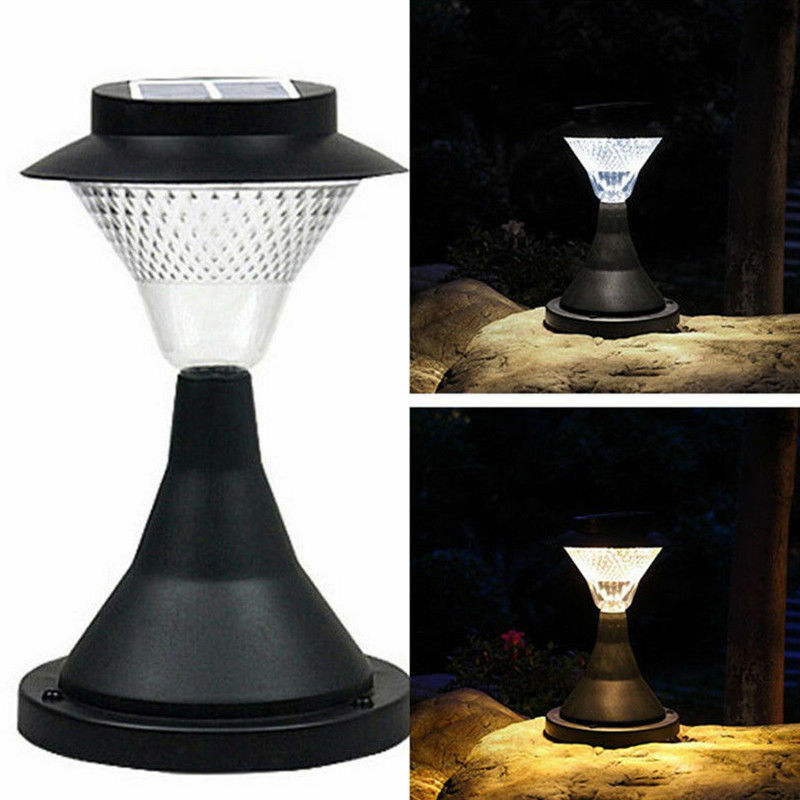 Successfully Added 16 LED Outdoor GardenYard Pillar Lamp Solar Powered LED -White Light to your Shopping Cart. Light Source: 16 LED lamp beads; Warm/White light; 360 degree of illumination; High brightness, low energy consumption. Power Supply: 6V 1W Solar Panel and 3 * AA 1.2V 1200mAH NiMH battery; Full charged needs 8 hours with sunlight and work for 8 hours when full charged. Lighting Mode: During the day, sunlight is absorbed into electrical energy and stored in a rechargeable battery inside the lamp. When the night is dark, the top solar panel will be sensitive so that the light will come on. Easy to Use - Solar powered, no wiring required, suitable for Patio, Yard, Garden, Driveway, Pool Area, Outdoor Use.